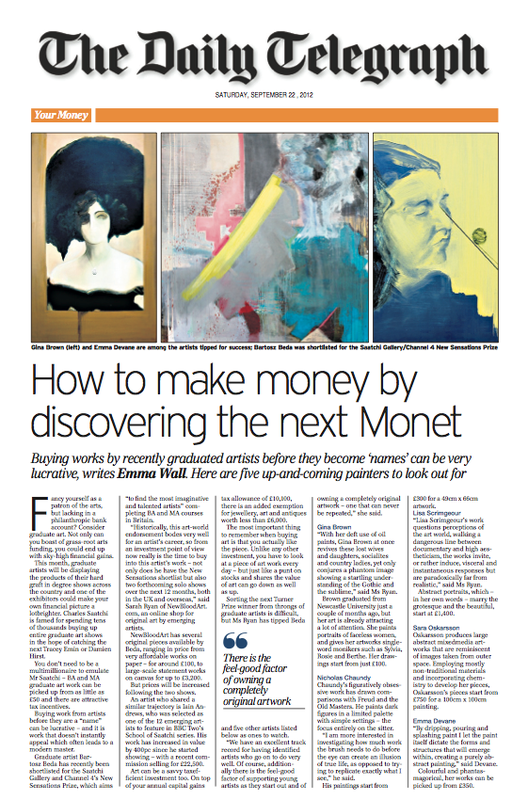 "How to make money by discovering the next Monet". Fancy yourself as a patron of the arts, but lacking in a philanthropic bank account? Consider graduate art. Not only can you boast of grass-root arts funding, you could end up with sky-high financial gains, writes Emma Wall.